Jisshu Sengupta is perhaps the most underrated actor of Bengali film industry. He has already proved his class by doing films like Abar Araney, Shob Choritro Kalponik and The Last Lear etc. But he never got his due from the industry. The ace actor has shown his mettle again with his latest release Byomkesh Bakshi by Anjan Dutt. After this none is expected to tag him as 'just good prospect' anymore. Set in the backdrop of early 60s Dutt has selected the story ‘Kohen Kobi Kalidas’ from Saradindu Bandyopadhyay’s Byomkesh series. The selection is a masterstroke as the story line is full of thrill and action. The story initially begins with problems in coal mine of one Manishbabu and takes a sudden turn towards murder of a gambler Pranohori Poddar. Dutt sticks to Saswata Chatterjee to deliver a convincing performance as Ajit once again. This brilliant actor has uplifted the standard of the film to a new height with his witty dialogue delivery and sense of humor. He deserves a big applause for his comic timing too. A bunch of brilliant actors like Kaushik Sen, Shantilal Mukherjee, Chandan Sen, Debdut Ghosh, Usashi Chaterjee and Sagnik Chatterjee have played their dues in the movie. Thanks to such strong acting the shortcomings of the film do not mean much to the audience. Off late, directors have pounced on every fictional Bengali detective character available with them. Byomkesh Bakshi has been the most preferred one. Dutt has done Byomkesh a number of times before this particular movie with Abir Chatterjee as the protagonist. But his combination with Jissu Sengupta is perhaps the most convincing of the lot. Neel Dutta’s music in the film is a treat for the ears. He has not only adopted the period of the story but also made some remarkable improvisations. The film would surely give Neel the necessary recognition for delivering outstanding work constantly for so many years. Doing a period drama is always a tough challenge. 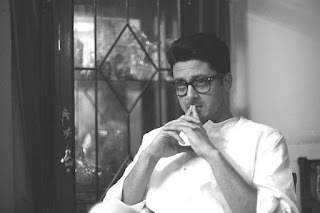 Byomkesh is a Bengali cult character and represents true Bengali flavours which now-a-days become extremely rare. Watching the new generation enjoying Byomkesh as much as their parents do is a real plus. Dutt has actually achieved that with this venture. The audience seems to have forgotten the woes of Dibakar Banerjee’s Detective Byomkesh Bakshy released earlier this year. However, comparing the two projects would be unjustified because of the sheer investment margins. But the comparison is unavoidable. Unlike Banerjee’s Byomkesh (Sushant Singh Rajput) Dutt’s portrayal is much more real. Despite the limitations of regional film making the director has done a great job. He is familiar to the culture and crisis faced by the Bengali society in the 60s. And hence, plausible. This article cannot end without mention of some brilliant editing work by Arghakamal Mitra. He has turned the tables literally alone.